This festival dedicated to celebrating Irish culture at Fair Park offers a host of entertainment options and is super affordable with tickets starting at only $10. Events and activities include Irish music sessions and dancing, sheep herding demonstrations, whiskey tastings, and a wide variety of culinary treats. There will even be a pet adoption event featuring furry friends from local Dallas shelters. Where else can you taste Irish whiskey, enjoy live folk music, watch sheep get herded, and possibly adopt a new best friend all in one place? Who doesn’t love bacon, beer, or fun festivities?! The Bacon and Beer Classic takes place at The Foundry on March 18th and is just what it sounds like: one big party dedicated to craft brews, tasty bacon-infused dishes, and live entertainment. The Foundry’s large courtyard strewn with picnic tables and twinkle lights is the perfect setting for this laid back event. Make new friends as you sample beers and try your hand at a round of giant Jenga and other fun lawn games. Tickets start at $39. Austin may have South by Southwest, but the Dallas area has its very own slightly more laid-back and affordable international music festival called So What!? Check out bands from around the world as well as local favorites and up-and-comers, enjoy secret shows and special events, and meet fellow music lovers at this three day festival. Single day passes start at $60 and three day passes are relatively affordable at $149. Moving to a city with such an incredible restaurant scene can honestly be a little overwhelming. Instead of trying to decide between hundreds of incredible eateries, why not buy tickets to Savor and enjoy 75+ of the best restaurants and chefs in town all in one spot, not to mention more than 300 wines from around the world. 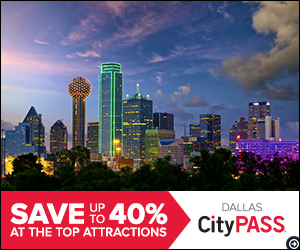 Enjoy incredible small bites, wine, and cocktails as well as special events and live entertainment at this quintessentially Dallas event. Tickets start at $55. You don’t have to travel all the way to Bangkok to enjoy amazing Thai food and culture. Thanks to the Thai Community Center of North Texas, you can head to The Buddhist Center of Dallas instead to enjoy this two day festival, featuring a food bazaar with Thai food from various regions around Thailand, traditional Thai dances, music, and cultural performances, and even Muay Thai martial arts demonstrations. There will also be guided tours and an open house of the beautiful Thai Buddhist temple and a Thai marketplace and pop-up shop where you can purchase unique art, Thai fashion, and other items to decorate your new Dallas home or send as gifts to your friends and family back home. Entrance to the festival is free and the Thai snacks available from vendors are very affordable, ranging from $1-7. To keep up-to-date on fun Dallas events year-round especially curated for the Dallas newcomer, get in touch or follow Dallas New in Town on Twitter!